This is Part 1 of 3 in our Palm oil series. 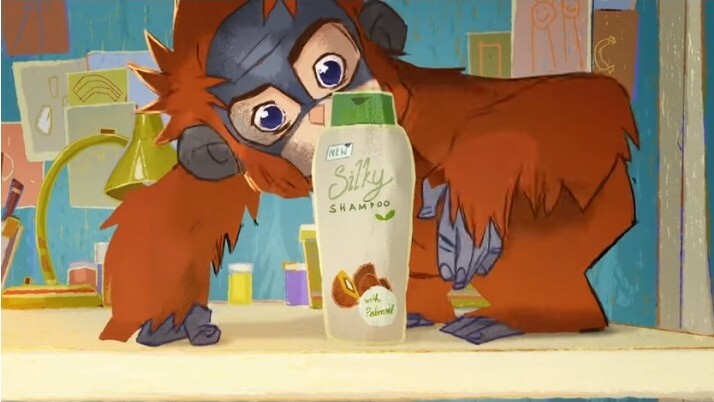 Iceland’s banned Christmas ad campaign featuring an emotional Greenpeace animation that highlights the deforestation caused by the palm oil industry, has been creating a stir across the media in recent weeks. This is following Iceland’s bold and very public commitment to go “palm oil free”. You might think that, as an ecologist researching the impacts of oil palm plantations on biodiversity in Borneo, I would be in full support of a ban on palm oil. However, through working closely with wildlife charities, palm oil growers and key buyers involved in the palm oil’s major certification standard — the Roundtable on Sustainable Palm Oil (RSPO) — my eyes have been opened to the complexities and nuances involved in transforming the sector. While the RSPO certification standard is still a ‘work in progress’, it has come a long way towards sustainability. Last week RSPO members voted for a new, more stringent set of standards in the palm oil industry, crucially to include ‘no deforestation’ criterion (previously, only primary forests and forests deemed to be of ‘high conservation value’ were protected, and some clearing of degraded forest was permitted) and a ‘no new planting on peat’ criterion (previously, only peat over a certain depth was prohibited). 1) Alternative vegetable oils aren’t better: We use palm oil widely in everything from bread and chocolate to lipstick and shampoo. It is true that we can substitute palm oil with a number of different vegetable oils. But palm oil is by far the most productive oil crop, producing at least 6 times more oil per hectare than its closest rivals, rapeseed and soy. Because space is one of the most limited resources on our overcrowded planet, switching to an oil crop that takes up so much more land area is likely to cause even greater environmental damage. Ensuring new oil palm plantations are located in non-forest areas is key. 2) Rural poor in developing countries will lose out: Oil palm grows in tropical developing countries including in SE Asia, West Africa and Latin America. Around 40% of palm oil is produced by smallholders for whom growing oil palm is a profitable business, bringing in higher incomes than many of the alternative cash crops such as coffee or cocoa. Banning palm oil could put the livelihoods of smallholder farmers at risk in some of the most under-developed and poorest parts of the world. Supporting smallholder farmers to improve their agricultural practices will be more effective. 3) Disengagement will be unlikely to create positive change: Palm oil is a globally traded commodity, but only some parts of the world, such as Europe and America, are putting pressure on the industry to change. Meanwhile, some of the biggest importers of palm oil, including India and China, are not yet on board with the sustainability agenda. Switching to more sustainable practices can be a costly exercise for oil palm growers, and with plenty of other countries willing to buy cheap unsustainable palm oil, it’s important that we encourage change by engaging with the industry and incentivising sustainable production. We should not side-step the issue and remove ourselves from the discussion by avoiding palm oil altogether. I am especially excited about the recent decision by the RSPO for a more stringent set of standards because I worked closely on the development of the High Carbon Stock Approach methodology that it is adopting to meet its no deforestation commitment. How to deal with fragmented forest was a key question in the development of the methodology and, in particular, ‘how big do forest patches need to be in order to maintain biodiversity and healthy ecosystems in an oil palm landscape?’ This was the focus of a synthesis I led, in collaboration with Prof Jane Hill and colleagues at the University of York, and Dr Glen Reynolds at the SE Asia Rainforest Research Partnership, which collected together data to determine threshold values for viable forest patches. I worked with the High Carbon Stock scientific committee to use this information in the development of the methodology which will now be applied by RSPO companies globally. The willingness of the industry to engage with scientists to develop evidence-based approaches gives me confidence that sustainable palm oil is the way forward. There is still more to do however, and frontier regions for expansion in West and central Africa and Latin America create new challenges. I plan to continue to do research that will help to answer the key knowledge gaps around how we can achieve sustainability in the oil palm sector and to work with the RSPO to test and help improve the standard to meet these challenges. Dr Jennifer Lucey is a Knowledge Exchange Fellow in the Department of Zoology. She has been shortlisted as a finalist in the Early Career category of the National Environmental Research Council NERC Impact awards for her work with the palm oil sector. The winner will be announced on 3rd Dec 2018. Dr Jennifer Lucey’s shortlisted Impact Award article. Follow us here on Medium where we publish regularly. If you liked this article please ‘applaud’ it to spread the word and help others find it. Want to read more? Try our articles on The biggest health challenge of the 21st century — and how little we know about it, Eating for an Environmentally Sustainable Future and Looking for the sweet spot : balancing social and ecological wellbeing in sustainable chocolate. Are you a member of the University who wants to write for us on Medium? Get in touch with us here with your ideas: digicomms@admin.ox.ac.uk.